London - The English Football Association named Mark Bullingham as the governing body's new chief executive on Friday. 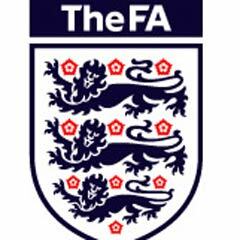 Bullingham joined the FA as commercial and marketing director in August 2016 before becoming chief commercial and football development officer in December. The marketing guru's appointment was rubber-stamped at an FA board meeting on Thursday before the official announcement. Bullingham will succeed Martin Glenn, who announced in December he would stand down at end of this season after four years in charge. Glenn's resignation was announced two months after the controversial proposed sale of Wembley to Fulham owner Shahid Khan fell through after objections from the FA council. "This is an incredibly exciting time to be at the Football Association and I'm delighted to be given this opportunity," Bullingham said. "I'm hugely passionate about the role the FA plays in improving the English game and our positive contribution to society. "I'm confident in the talent and determination of the workforce here and the direction we are heading together. "However, there is still a huge amount to do: from transforming the quality of amateur pitches, to doubling the women's and girls' game across the country, to hosting major international tournaments, to building digital tools to help volunteers across all areas of the grassroots game. "The to-do list is long but we know that as a team, we can deliver huge progress."